What is the best time to discover Sicily? When should you go to Sicily? 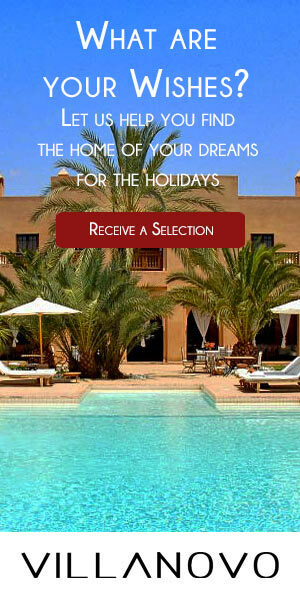 Between April and November you will enjoy all the best qualities of the biggest island in the Mediterranean. In order to make the most of your stay, renting a car is definitely the best way to do so, but find out about all of the parking facilities and street signs to avoid any surprises. 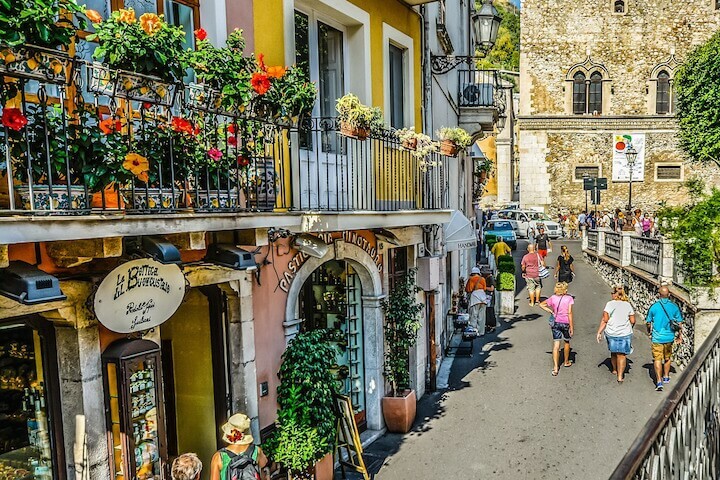 Palermo is marked by its Norman style and known for its pleasant market atmosphere. Take time to stroll through the popular markets of Vucciria, a place which is at once remarkable and charming, where you can admire the beautiful fish. Churches are plentiful in Palermo. 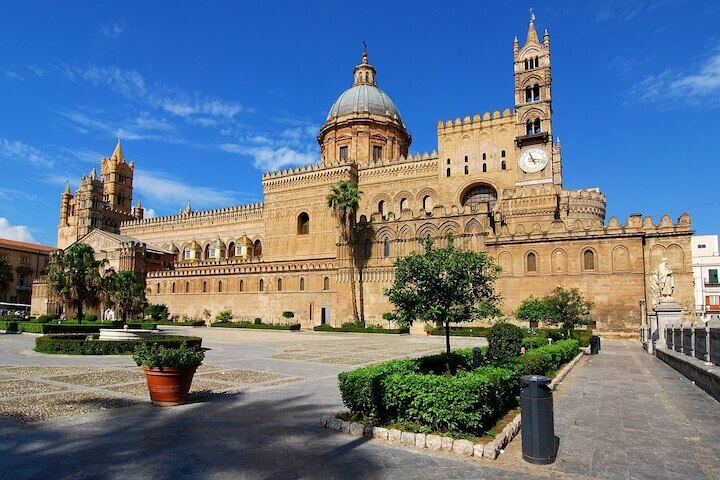 Among those that are worth taking a detour for is the Cathedral of Palermo and San Cataldo church with Arab-Norman architecture. On the streets of la via Roma, la via Maqueda and via Vittorio Emmanuele you will find the majority of hotels and you can also go shopping here. The Norman palace is a magnificent monument and the Palatine Chapel especially, is not to be missed. In the historic quarter you can admire the red domes characteristic of the San Giovanni degli Eremiti Church, and in particular its cloister. Head towards Monreale where you will be able to admire its spectacular cathedral dating back to the 12th Century as well as its cloister. 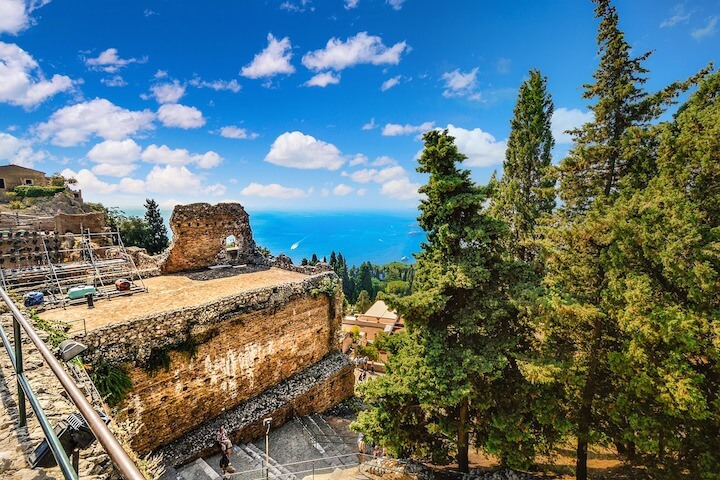 Continue on to Segeste, to see the ruins of this ancient Greek city and the serenity of the best-preserved archaeological site in the Mediterranean. There you will meet the sea again, where you can explore typical Sicilian villages. At Castellammare del Golfo you will be enchanted by the seaside resort and its medieval castle. At Cefalù you will see the cathedral and the old village. Agrigento is one of the most beautiful Sicilian towns and there you will find la Valle dei Templi, a piece of World Heritage, which attests to the greatness of Greek civilisation and for which a visit is an absolute must. Do not forget Sycaruse as well, whose streets are steeped in history. Finally, be aware that Etna is one of the most active volcanoes in the world so choose to visit with a knowledgeable guide. After an outstanding excursion, there is nothing better than relaxing at your holiday home and enjoying your stay to its fullest.